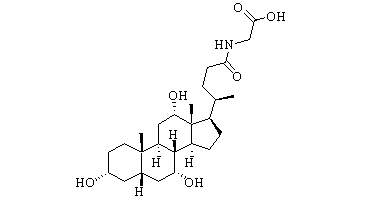 Golimumab (CNTO 148) is a human monoclonal antibody which is used as an immunosuppressive drug. 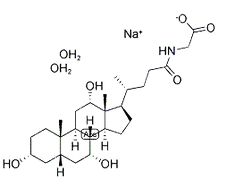 Golimumab targets tumor necrosis factor alpha (TNF-alpha), a pro-inflammatory molecule and hence is a TNF inhibitor. Ornidazole Levo- is the levo-isomer of Ornidazole. 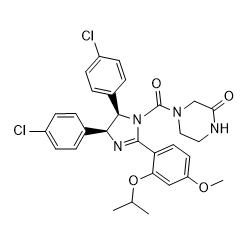 Ornidazole is a 5-nitroimidazole derivative with antiprotozoal and antibacterial properties against anaerobic bacteria. Etanercept is a dimeric fusion protein consisting of the extracellular ligand-binding portion of the human 75 kilodalton (p75) tumor necrosis factor receptor (TNFR) linked to the Fc portion of human IgG1. 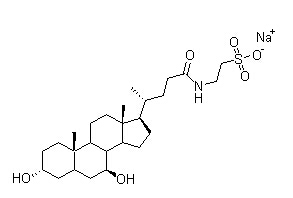 Nolatrexed, also known as AG337, is a thymidylate synthase inhibitor with potential anticancer activity.